Recorded fresh from a series of performances at New York's prestigious venue Dizzy's Club Coca-Cola, Mary Stallings' latest HighNote title places her firmly in the pantheon of great female jazz singers of this, or any other time. So respected is her art and musicianship, Mary was chosen to be the first jazz performer to ever appear at the venerable and heretofore classical-only National Theater in Prague. A singular honor, to be sure and the latest in a series of awards and distinctions that Stallings has been gathering since her first HighNote release in 2010. Since then Mary has appeared several times at Dizzy's, was the honoree at the 2011 SF Jazz Gala — the groundbreaking ceremony for the only stand-alone jazz venue in America — the Tanglewood Jazz Festival in Lenox, MA as well as countless jazz clubs and rooms on both coasts. 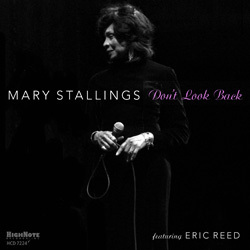 Here, together with music director and pianist Eric Reed, Mary lends her sultry and swinging voice to a dozen selections and shows why she is no longer jazz's best-kept secret.